When you see as many game jams as we do at itch.io, it gets hard to be genuinely surprised by a jam’s results. Impressed? Sure. Excited? Definitely. Blown away? Almost never. Low Rez Jam finished up last week and I’m absolutely blown away by the diversity in the results. The only requirement for entries was that they were in 64x64 resolution or less. This means that the results contain platformers, shooters, puzzles, demakes, beat-em-ups, and some games that defy classification. I picked out a few of my favorites, but you should post yours in the comments below. One of the most Xenia’s most impressive features is the sheer scale of the project that was built out in less than 2 weeks. There is a fully functioning Zelda game in Xenia 2 with magic, upgrades, and an overworld. Xenia 2 isn’t a super lengthy experience, clocking in at under an hour, but it legitimately feels like a lost prototype for a game that was never released. It’s also got gorgeous pixel art that really pops with the low resolution. Some of my fondest memories playing games with my dad were of us trying to escape the all-powerful yeti at the end of Ski Free. That nightmare creature has haunted me for the better part of two decades. Fortunately Pixel Peak is here to provide a pleasant arcade ski-em-up with the cutest-most squat athlete I’ve seen in a while. 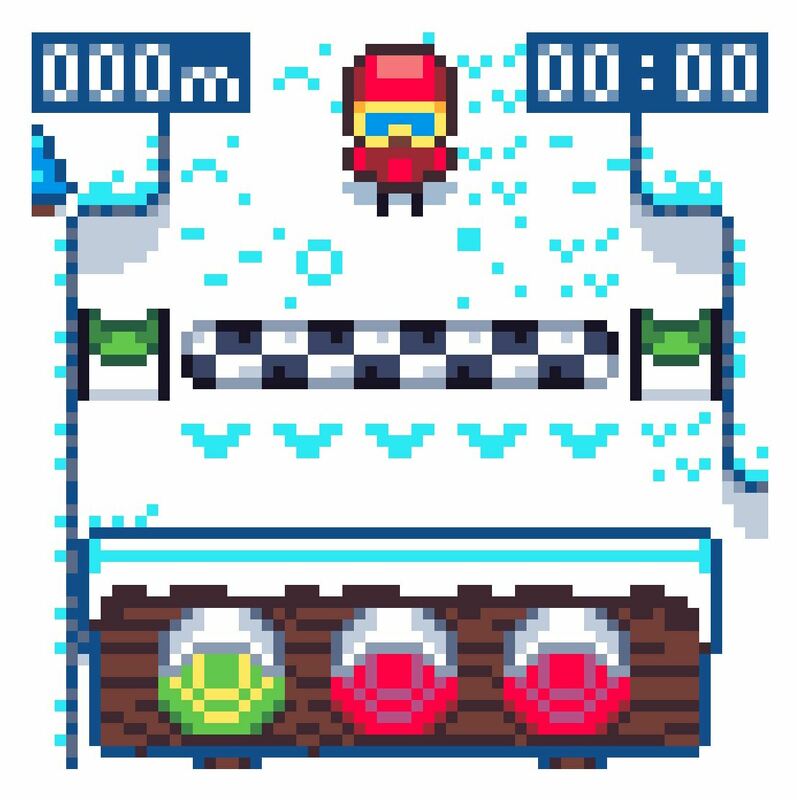 There aren’t a ton of things to do in Pixel Peak -- only skiing down the titular mountain-- but you’ve got branching pathways and a scoring system that lends itself to multiple playthroughs and score wars with your friends. Whenever I play a great game that comes out of a jam I wonder what the game would look like with more time and budget poured into it. Pixel Peak forces you to wonder just how great it could be as a full release while you zip down the slopes. She Plays Ultra High Definition Video Games is strange beast. Is it a game? Sure, but that’s not the best way to look at the experience. You play SPUHDVG as a girl playing games before she’s called down to dinner. If you played games as a kid you’ll definitely remember the rush to finish a game before your mom marched upstairs to drag you to the dinner table. This is the sort of scene SPUHDVG sets up. You can play a handful of ~30 second long games inside of SPUHDVG that mimic famous franchises of video games’ past which continues to set the scene of a childhood gone-by. I know SPUHDVG won’t be for everyone, but if you grew up playing games you can expect a tactical strike of nostalgia that will sit with you long after you finish the game.